Answers to your most frequently asked questions. If you have a question that is not answered here, please contact us here. 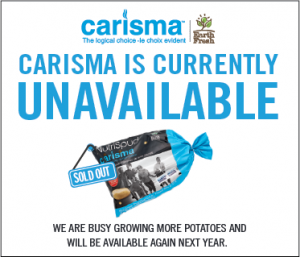 Q – Are Carisma potatoes GMO? A – No, Carisma potatoes are not GMO. The Carisma potato is farmed from traditional seed and without the use of biotechnology. Potato varieties’ genetic and morphological characteristics differ widely. In other words not every potato variety has the same internal characteristics. Canadian and Australian researchers at the forefront of evaluating foods’ glycemic characteristics discovered this potato variety has a lower glycemic response. Canadian primary glycemic research centres include the University of Toronto’s Department of Nutrition Sciences (DNS) and GI Labs which is located at the University of Toronto and led by Dr. Thomas Wolever. Q – Where are these potatoes from? 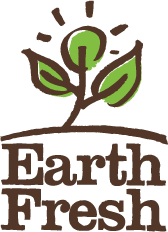 A – EarthFresh has grown the Carisma potatoes across the U.S.A. to allow for a longer growing season and a larger yield. The breed of potato came from the Netherlands. Q – What do they taste like? A – They are a yellow potato with a creamy, melt in your mouth taste. Q – How should I cook them? A – They are best boiled, baked, mashed or roasted. It’s great taste and smooth texture are ideal for appetizers, soups, cold salads, warm sides and even oven baked fries. Access our delicious recipe suggestions, here. Q – Where can I purchase them? A – Available for a limited time offer only in Ontario, Fall 2016 at Longos, Metro, Sobeys and Whole Foods.